Users of several parks within the City of Wanneroo will soon have improved access to toilet facilities with the roll out of time locks on public amenities. The installation of time lock systems began at Rosslare Foreshore, Mindarie this week (25 March). Currently facilities such as these are generally locked unless being used by a sporting club. Once the works are complete, the new system will allow the facilities to be available for the public to use during the day and early evening, before automatically locking at night to prevent vandalism. Time locks restrict access in, but will always allow people to exit, meaning there is no chance members of the public can be locked in. Works include the replacement of existing door frames with new timber frames and doors, new door hardware as well as security control systems, including motion sensors for internal lighting. Completion of these facilities is expected by mid-June. Mayor Tracey Roberts said as part of the City’s commitment to providing accessible community amenities, further sites will be upgraded in the next financial year. 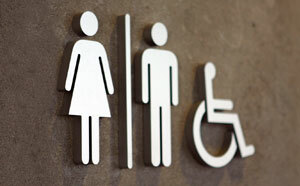 The City has also joined with the Department of Health’s National Public Toilet Map, allowing people to easily find public toilets across Australia. Not only does the site show location of publicly available toilets, it includes accessibility information, opening hours and facilities such as showers and baby change. Visit toiletmap.gov.au or download the official National Public Toilet Map App from the App Store or on Google Play.